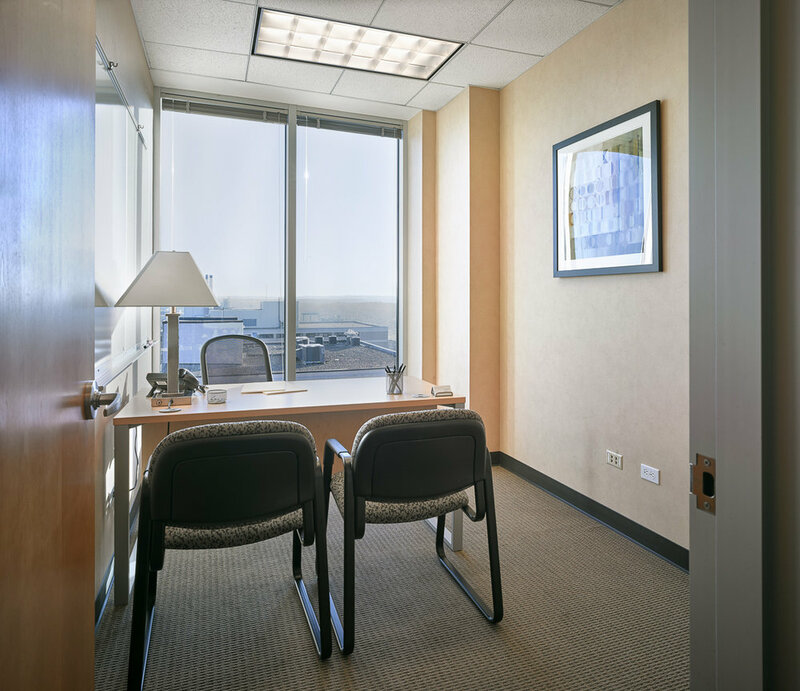 This beautiful exterior office has floor to ceiling views of the east side and offers a professional place to office as well as meet clients and guests. It comes fully furnished with a desk, office and guest chairs, a white/cork board and high-speed internet. Enjoy all of the amenities that CES has to offer from this sunny, sophisticated office!